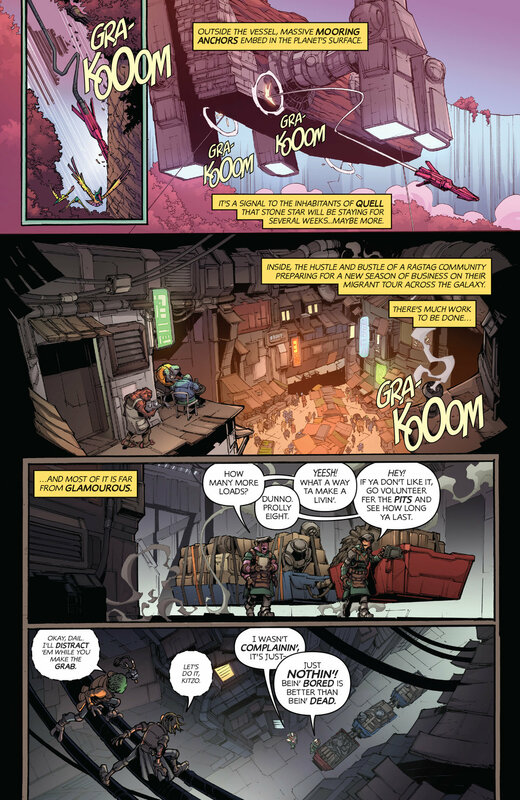 ComiXology, Amazon’s premier digital comics service, dropped a surprise new series, the first issue of Stone Star, a 5-part sci-fi, action-adventure comic series by Jim Zub (Champions, Avengers: No Road Home, Rick & Morty vs Dungeons & Dragons) and Max Dunbar (Champions, Dungeons & Dragons). Stone Star issue #1 is digitally available to read now for members of Prime Reading, Kindle Unlimited, and comiXology Unlimited and is also available for sale on comiXology and Kindle for $2.99. 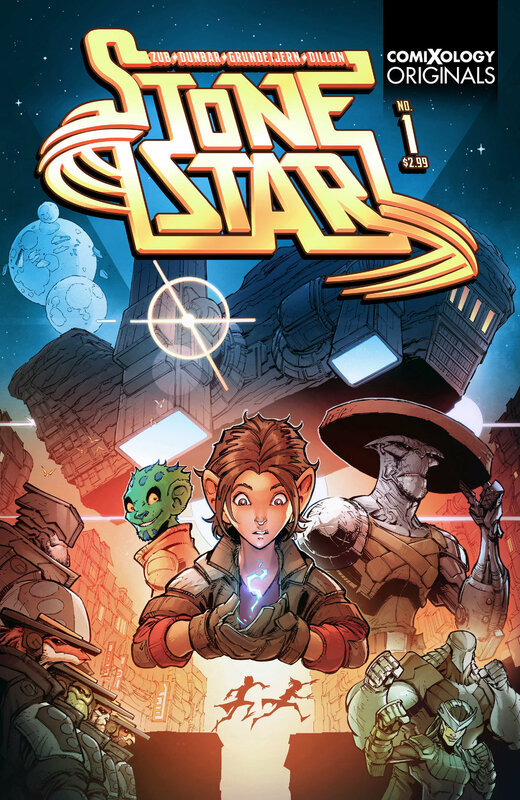 "Stone Star is a wild mix of everything that ignited my imagination growing up - strange creatures with a fantasy flare, weird worlds, and unexpected danger,” says writer Jim Zub. “Max is channeling that excitement and unleashing it on every page with a level of kinetic action and detail that readers have never seen from him before." Stone Star is part of the comiXology Originals line of exclusive digital content. The first issue is available now and each subsequent monthly issue will be available to members of Prime Reading, Kindle Unlimited, and comiXology Unlimited at no additional cost, and available for sale on comiXology and Kindle for $2.99. The collected edition will be available via Print-on-Demand exclusively on Amazon.com. Stone Star #1 is a continuation of comiXology Originals offering new, exclusive comic book content across Amazon’s subscription services of Prime, Kindle Unlimited, and comiXology Unlimited. Prime Reading offers Amazon Prime members a rotating selection of over a thousand top Kindle books, magazines, short works, comic books, children’s books, and more – all at no additional cost. Kindle Unlimited offers over 1 million titles, thousands of audiobooks, and select current issues of popular magazines for just $9.99 a month with a 30-day free trial for new members at amazon.com/kindleunlimited. ComiXology Unlimited offers over 20,000 comics, graphic novels and manga for just $5.99 a month with a 30-day free trial for new members at comixology.com/unlimited. What do you think about Digital Only books? Let us know in the comment section below. Also, Don’t forget to like, share and subscribe to all things Constant Collectible to keep up to date with all the news and reviews from a world of GEEK CULTURE.